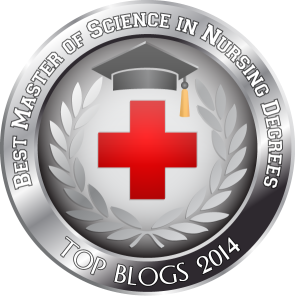 My friend Aaron has redesigned the Ultimate Nurse website and it's really fantastic. If you haven't seen it, be sure to visit. There's a very active forum and lots of information. 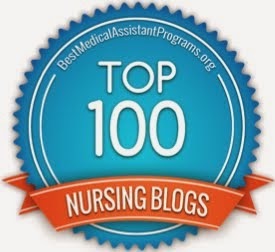 If you're interested in travel nursing it's a must see site! For more news on the travel nursing scene, check out the Highway Hypodermics Ezine page. 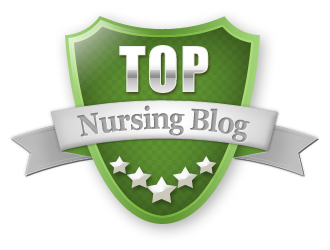 Epstein always has great tips and information for travel nurses. Her books are a must read for travel nurses. Another site I love is ERNursey who tells it like it is!!! She's had some interesting struggles the past few posts. One of the more important points she makes is about bringing children suspected of having chicken pox or measles to the ER exposes others to these very contagious diseases.... let's educate parents to at least call ahead so they can take precautions!!! Over at RealityRN, there's a discussion about setting boundaries. This is an issue for anyone who cares for others. Are you struggling with issues of helping too much??? Time to get back to some other duties myself. Enjoy your web surfing. 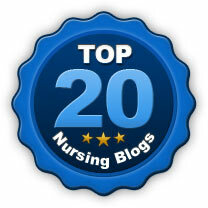 Start a discussion on the Nursing Site Network and share your favorite sites or post a comment here. I recently reviewed another great book for my site at Suite101.com called Skin in the Game by John Hammergren and Phil Harkins. The subtitle of the book, How Putting Yourself Today Will Revolutionize Health Care Tomorrow, gives you a window into the topic of the book. This is a terrific book about the evolution of the healthcare industry. It provides terrific insight into how we got to this point and what we need to do to resolve the health care crisis. It's a must read for anyone studying to be a nurse, and anyone continuing their education into areas such as health care administration or becoming an independent practitioner such as an NP. Hammergren is the CEO of McKesson, the oldest and largest health care services company in America and Harkins is CEO of Linkage, a global organizational company. The ANA (American Nurses Assoc.) 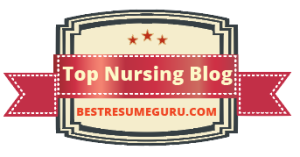 is asking nurses to review the draft competencies and specific behaviors for entry-level Clinical Nurse Specialists and to take a survey which rates theses items and provides feedback about how these competencies reflect the current practice and academic preparation in your role as a CNS. The information and survey will be available until May 24,2008. 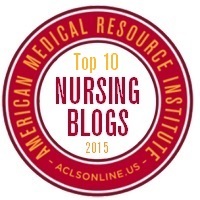 I just posted a question on the Nursing Site Network.... If a new nurse asked you how you survived your first year as a nurse, what would you say helped you the most? Join the Network and give us your best advice. Research says new nurses are the most vulnerable at the six month point until about nine to twelve months. We need to help them stick it out!!! How did you get past this point and live to tell about it? Please share your advice with fellow nurses. Thanks for your time!!!! I recently had the honor of reviewing a terrific resource book for health care professionals who treat Spanish speaking patients. You can read this review at Suite101.com. Ahora Hablo Medical Edition Simple Steps to Communicate with Spanish-Speaking Patients is just that.... a simple to use guide. Written by a high school Spanish teacher with the assistance of nurses and a doctor, this guide provides easy to use phrases and simple sentences to assist the health care professional in a head to toe assessment and basic patient teaching. It doesn't take the place of an interpreter, but in a pinch it can certainly help to put your patients at ease and get the basic vital information to start diagnosing or treating the patient. If you have some Spanish education, this guide helps you to focus your conversation skills in the health care arena. For those with no Spanish language experience, it offers simple phrases, sentences, and a pronunciation guide. Where most basic Spanish language guides are for travelers who may need to ask where the bathroom is or how to get to a specific destination, this book covers medical terminology and health care related information. You won't learn how to ask where Paco is or the library, but you just might be able to determine where your patient's pain is or learn about his antibiotics. It's a great resource for public and home health professionals who find themselves in a patient's home without a translator, as well as any clinic, medical office or hospital. More Nursing Scholarships for 2008... Apply NOW! Clinique cosmetics is offering nursing scholarships for the 2nd year in a row in their campaign to contribute to the future of healthcare. Clinique was created by a group of dermatologists who understand first hand the shortages the health care industry is facing as well as the high cost of health care education. Scholarships for BSN students will be awarded in the amount of $5000 to $6000. To qualify the student must be (or will be) attending any BSN program in the U.S. which is accredited by the NLNAC (National League for Nursing Accrediting Commission). The student must be eligible to receive financial aid, have a 3.0 GPA (on a 4.0 scale) and complete the application by May 5, 2008. For a list of other qualifications and instructions on how to apply see the Clinque Scholar Website. Other scholarships are available from Tylenol ® brand pain reliever. Up to $350,000 in scholarships ranging from$1000 to $5000 will be awarded to 170 future doctors, nurses and other allied health care professionals. These scholarships are also based on need, academic performance and leadership qualities. The deadline to apply is May 15, 2008. More information is available from the Tylenol ® website. 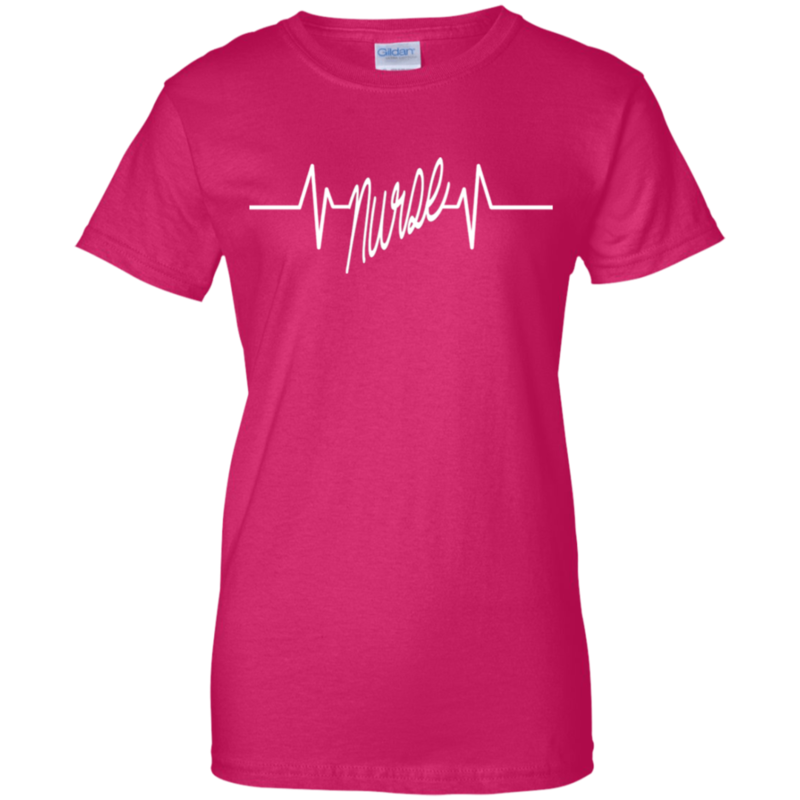 Nurses Day and Nurses Week are rapidly approaching. 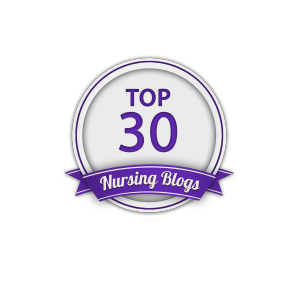 I hope you and your facility have something exciting planned to honor your nursing staff. If not, it's not to late to set something up. Remember, you cannot expect unrealistic goals and outcomes. This is not a time when the administration is going to grant huge raises, or tell you they've been able to hire many more nurses to relieve your staffing issues. Even if they forgo the trinkets, you're not going to see that money suddenly become a huge budget for raises and benefits. So be gracious and accept that water bottle or key chain as a token of their appreciation for all that you do. Nursing is about making your own rewards. Why did you choose to become a nurse in the first place.? Who's life did you make a difference in today? Yesterday? Last week? That's what it's about. YOU making a difference in someone's life everyday! Give yourself a big pat on the back and reward yourself for a job well done!!! Maybe you need a new piece of equipment. 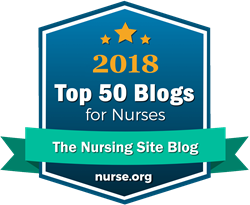 If you are planning your own celebration of your nursing staff and looking for ideas for decorations, prizes or gifts, here are a few links from The Nursing Site. Print Your Own Kits (2 designs available) with a Bookmark, Certificate of Appreciation, Nurses Day or Week card, and a Postcard. It also includes a pattern for a paper nurses cap. 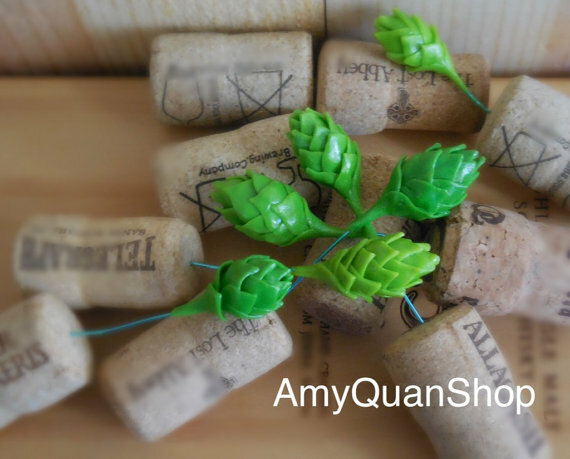 (Scroll down the page to see the samples and order.) NOTE: It may take up to 48 hours to receive the link to print from. From Cafe Press, I operate 2 separate stores. One has Nurses Are Masters at the Fine Art of Caring logo along with a few other choices and the other offers Nurses Make a Difference in Someone's Life Everyday! 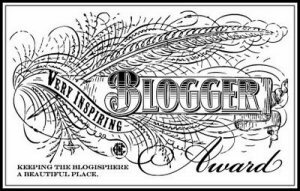 Note: The links may take you to other sites that I write and maintain. It all helps to support The Nursing Site in the end. Thanks for your support! A Nurse is more, Why? Nurse's desire, for service, is pure. Not for themselves, it has to be for others. A life dedicated, to their sisters and their brothers. 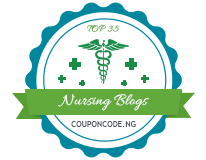 A Nurse is more, How? Nurses take their lead, from the power above. Above and beyond, their duty comes first. Their patient's needs paramount, before even hunger and thirst. A Nurse is more, When? Nurses come through, with their care and goodwill. When we feel we can't go on, and wish, to give up the ghost. That's when our Nurses, give it their most. A Nurse is more, Where? Nurses are there, in the ER, the OR, the workplace, and medical office. Where we are, to go for our care, thankfully, we find Nurses there. Aging, sick, fearful, weary, we turn to Nurses, and know they care. other than, to acknowledge the Nurses, who so brighten our day. bringing to us, their comfort, wisdom, compassion and healing. 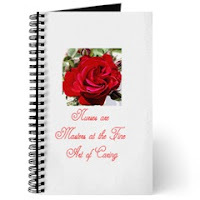 A Nurse is More© was written to honor all Nurses and Dedicated to Jeannine E. Shuster, R.N. May is Nurses Month, Honor a Nurse. Permission is granted to reproduce this poem for any Nurses forum. Nurse's Week and Nurse's Day are during May. If you know a Nurse, are related to a Nurse, or just would like to thank a Nurse, please send or give a copy of this poem. Now Wal-Mart is truly the place where you can find anything under the sun. The mega shopping center now offers healthcare at its walk-in clinics. The reduction in prices that Wal-Mart offers extends to its clinics, but does it mean a reduction in care? 1. Easier Immunization Distribution: As Wal-Mart makes immunizations readily available, people will no longer have to waste time with trips to their primary caregivers. 2. Reduced Fees: "Get Well" visits at Wal-Marts typically cost $45 compared to rising insurance costs and co-pays that are expected in regular healthcare systems. 3. No insurance, no problem: Insurance isn't required at Wal-Mart's clinics attracting the uninsured whom otherwise may go untreated. This will remain a most important issue in the ever-changing American healthcare system. 4. Less crowded ERs: With easier access to treatment through Wal-Mart, emergency rooms won't be flooded with unnecessary visitors. 5. More attention paid to more serious ailments: Primary care providers will be able to attend to patients with more major problems while Wal-Mart tackles the minor aches and pains. 6. Healthcare available anywhere: As Wal-Marts spring up all over the country, even in the most remote areas, people will find healthcare easier to come by where a primary caregiver may not be as accessible. 7. Quality or quantity? : If lower prices are the goal in a nation of surging healthcare costs then quality may also be reduced. While practitioners are staffed at these Wal-Mart clinics, the level of care is up for debate versus the care available in the traditional realm of healthcare. 8. Convenience is the key: It is projected that as Wal-Mart enjoys success in the neighborhood clinic game, we will see similar projects crop up in local malls across the nation. 9. Referrals on the rise: Naturally, as Wal-Mart and its copycat clinics feel a problem may be too severe to be handled on their premises there will be a rise in the referrals to primary caregivers. 10. Disruption in flow of care: Traditional recordkeeping that is done through one’s primary care provider is not mirrored at Wal-Mart clinics. At a Wal-Mart clinic you walk in and get treated and walk out. There is no recordkeeping which could cause problems down the line when you go to your primary caregiver and neglect to mention care you received at an in-store clinic. 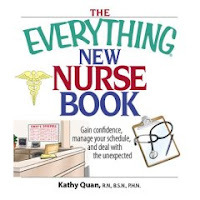 I have recently received several requests for autographed copies of The Everything New Nurse Book. If you are interested in an autographed copy, they are available directly from me for $14.95 USD (face value). This includes shipping within the U.S. International shipping will be determined on an individual basis (if available). Email me and I will invoice you. I also have a limited number of The Everything Guide to Health Care Careers available for $14.95 USD as well. Student nurses at Mt. Wachusett Community College recently took the issue of a National Nurse to the Massachusetts state legislature. They contacted their state representative, Christine Caravan, BSN to assist in this matter. Rep. Caravan took the matter to the MA state legislature and on March 27, unanimously both the House and Senate branches passed a resolution encouraging the U.S. Congress to enact legislation to create an Office of the National Nurse. The students were acting on their belief that elevating the current Chief Nurse Officer position in the USPHS will help to make nurses more visible and prominent in producing a cultural shift to prevention in health care. At this time when preventable chronic diseases such as Type 2 diabetes and obesity are hitting record numbers, nurses can make a difference in providing patient education. An Office of the National Nurse would provide a prominent and highly visible symbol to help make this possible. Colleen Thaxton, assistant professor on nursing at Mount Wachusett CC stated she is "excited that my students saw the importance of this role and took the initiative on a state level. It is great for them to see that they actually can make an impact." "We are delighted, continued Ms. Thaxton, "that the Massachusetts legislature recognizes the importance of having an Office of the National Nurse to complement the work of the U.S. Surgeon General in promoting preventable health care." Congratulations to these students for their efforts! The American Nurses Association urges all 2.9 million nurses in the U.S. to become politically active. The ANA, along with the NLN and NSNA recently faced off with the Oregon Student Nurse delegates at the National Student Nurses Association Convention in Texas last month. The students proposed a resolution to support the Office of the National Nurse. When the students were confronted by dignitaries from the ANA, NLN and NSNA on this issue they stood their ground and showed that they had done their homework. They adapted their proposal to coincide with proposals by these organizations to elevate the current Chief Nurse Officer in the USPHS to this position. The revised resolution passed. Everyone got a good lesson in political activism. Congratulations to these strong students as well! More information is available at the National Nurse Site. 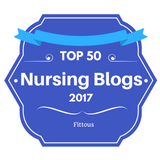 You can also read more about the National Nurse on The Nursing Site. It's not for children, and not recommended for anyone suffering an obvious breathing issue such as drowning or carbon monoxide poisoning. But the AHA says anything is better than nothing. 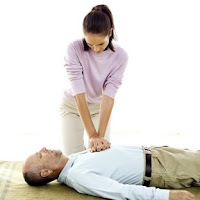 So hopefully more lives will be saved!!! The deadline for the "Dear Colleagues" letter in the U.S. Senate has been extended until tomorrow April 3. 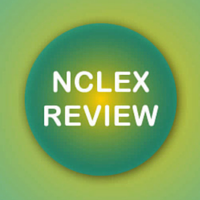 Go to the NLN site and you can send an email directly from there. One is already written that you can use, or compose your own. All you have to do is complete your demographic information and it will be sent to your Senators. Please take a couple of minutes today to help ensure funding for nurses. The Title VIII Nursing Workforce Development funds directly affect us all. Among other things this funding helps nurses become nurse educators. The shortage of nurses will never be solved until we do something to help increase the number of nurse educators.